Jonathan Niven Cryer is an American actor, screenwriter, television director, and film producer. Born into a show business family, Cryer made his motion picture debut as a teenaged photographer in the 1984 romantic comedy “No Small Affair”; his breakout role came in 1986, playing “Duckie” Dale in the John Hughes-written film “Pretty in Pink”. In 1998, he wrote and produced the independent film “Went to Coney Island on a Mission from God... Be Back by Five”. Although Cryer gained fame with his early film roles, it took several years to find success on television; none of his star vehicles, including “The Famous Teddy Z”, “Partners&rqduo;, and “The Trouble with Normal”, lasted more than 22 episodes. 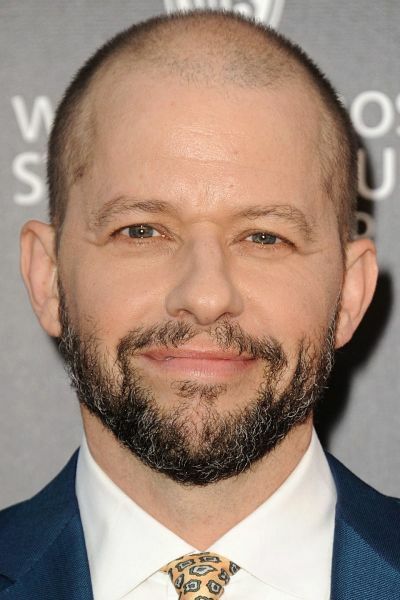 In 2003, Cryer was cast as Alan Harper on the CBS sitcom “Two and a Half Men”, for which he won two Primetime Emmy Awards in 2009 and 2012. Cryer received a star on the Hollywood Walk of Fame for Television in 2011. Cryer's other film appearances include “Superman IV: The Quest for Peace” (1987), “Hiding Out” (1987), “Hot Shots” (1991), “Tortured” (2008), “Shorts” (2009), and “Hit by Lightning” (2014). He also has a recurring role in the CBS drama series, “NCIS”, playing Dr. Cyril Taft. After appearing on the podcast Crime Writers On... it was announced Cryer is joining the team at the Undisclosed podcast for their second season. From Wikipedia, the free encyclopedia. Description above from the Wikipedia article Jon Cryer, licensed under CC-BY-SA, full list of contributors on Wikipedia. When the three pigs find a tiny wolf cub on their doorstep, they decide to raise him as their own, unaware that theyve played right into the plan of a special-ops team of wolves. As the newest addition to their family, Lucky grows into his teens not knowing his history, his role in the wolves plan or the difficult choice he will have to make about the family that raised him. Charlie Sheen, Lloyd Bridges, Cary Elwes, Valeria Golino and Jon Cryer co-star in director Jim Abrahams (Airplane, Naked Gun) truly hilarious spoof of Top Gun. Recruited to join a top-secret mission for the Air Force, a renegade pilot (Sheen) finds himself coping with an incompetent admiral (Bridges) and a carefully selected squadron of flyers who are either inept or half-blind. The Man of Steel is faced with his most important and toughest mission ever - to rid the world of all nuclear armaments.